Thousands braved severe weather last week to attend the March for Life in Washington, D.C., giving a vital public witness to the sanctity of life. In this column, however, I will reflect on a very personal situation with my wife’s first pregnancy six years ago, when abortion was presented to us as an option. Our child had a serious chromosomal disorder that caused her death in utero at 21 weeks, only two weeks after the original ultrasound diagnosis. 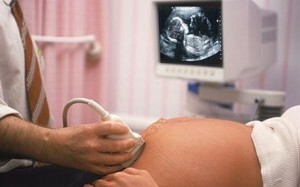 Without a miracle, the child had no chance of making it to birth, and the doctors realized this was a lost cause. We were offered the option to abort, which we quickly declined. Our decision was accepted, and no one said outright that it was pointless to provide the child with close monitoring or continued ultrasound examinations. Yet it was made clear that there was nothing we or any medical staff could do to help cure this child, and time and worry would be spent while waiting for her heart to cease. The ultrasound doctor was in no way incorrect with his medical diagnosis. However, he failed to see the true beauty and value of our child. After this first diagnosis, my wife and I went quickly to her OB/GYN who offered a different option. He gave us a prescription to “pick up at the store,” as he put it. Unable to read his quick scrawl, we asked him to write it again, and this time were surprised to read: “Isaiah 41:10,” the biblical verse that says, “Fear not, for I am with you, be not dismayed, for I am your God; I will strengthen you, I will help you, I will uphold you with my victorious right hand.” This was the only prescription that would help, so he instructed us to pray and ask for baptism by desire for our child in the womb. The situation reminded me of the ancient text of the Church, the Didache, which states that there are two ways, the way of life and the way of death. We were first presented with the way of death. There was no hope, no value in our family situation, no redemption, no life. In this perspective, life was not worth living, and hastening death was the sensible option. In effect, this viewpoint told us that God, the author of life, could not be trusted to carry out his will. Rather, it was man’s will that we should take into consideration, limiting our choices to the temporal and the material. The other option from our Christian OB/GYN was the way of life. It was the way of giving ourselves for the sake of the Gospel. Our child was not a burden, not a valueless creature to be discarded. Rather, she was a carefully created person destined to bring us closer together and closer to God. Our child’s suffering became a sign of redemption. Rather than darkness and despair, we were given hope and “victory,” in the words of the prophet Isaiah. Instead of relying on our desires tainted by sin, we relied upon the ever-merciful Father who created the world knowing this life would happen and the fruits that would follow. What ultimately separates the two ways is suffering. One way sees man’s suffering ending in redemption, the other in despair and hopelessness. Every human being suffers, yet because we see that suffering has a redemptive quality we know that life is worth living. Six years after that trying time, we have found ourselves with our sixth pregnancy and yet another doctor that offered her “necessary” condolences for a boy with a bladder and kidney condition that “may just get worse.” We were again offered an option to make a timely decision for this child’s life or death. The way of life may be an easy decision for us, but it is not free of difficulties, of health complications or of suffering. Yet in passing that way, we may see God’s glorious redemption and his victorious right hand! The question that resounds in each human heart must be answered: Is life worth living? With every child and moment of our existence, the answer is obviously yes. Russell Brewer lives in St. Louis with his wife, Rachelle, and their soon-to-be five boys: Matthew, 5: Joseph, 4; Michael, 2; Karl, 1; and Louis, due date March 31, 2016. He is a manager of business analytics at a transportation company.